Connectez-vous avec le personnel de la bibliothèque maintenant! 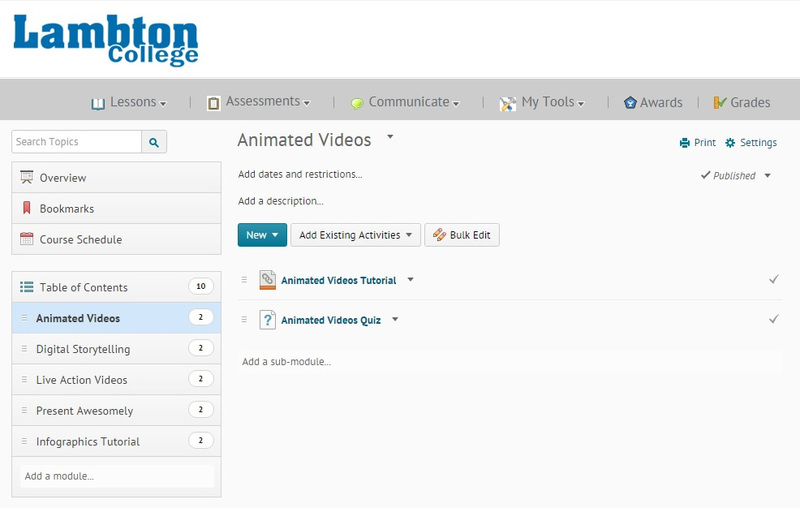 Import online quizzes and links to content directly into your Learning Management System. These are general instructions for importing cartridges. Your institution may use different settings. If you have issues please contact info@tlp-lpa.ca to receive a copy of the quizzes by email. Quizzes will only be provided to faculty. Includes a link to the module and a 5 question quiz randomized from a 10 question pool. Includes a link to all 5 modules in the Study Skills hub and 5 online quizzes. Includes a link to the module and a 10 question quiz randomized from a 25 question pool. Includes a link to the module and a 10 question quiz randomized from a 20 question pool. Includes links to the modules, and a 5 question quiz randomized from an 8 question pool. Includes a link to all 4 modules in the Research Hub, and 3 online quizzes. Includes a link to the module, and a 5 question quiz randomized from a 12 question pool. Includes a link to the module and a 5 question quiz randomized from a 9 question pool. Includes a link to the module, and a 5 question quiz randomized from a 9 question pool. Includes links to all 3 modules in the Writing Hub, and 3 online quizzes. Includes a link to the tutorial and a 5 question quiz. Includes a link to the module and a 5 question quiz randomized from a 6 question pool. Includes a link to the module and a 5 question quiz randomized from a 7 question pool. Includes a link to the module and a 5 question quiz randomized from a 15 question pool. Includes a link to the tutorial and a 5 question quiz randomized from a 9 question pool. Includes a link to the module and a 5 question quiz randomized from an 11 question pool.